Unlike many other distance education courses, ALL instruction, grading, feedback, and interaction with the students is completed by these qualified instructors listed below. We do not outsource any teaching nor grading duties outside of the U.S.
Robert completed his B.A. with Highest Honors in Mathematics at the University of California, Santa Cruz, followed by his M.A. and Ph.D. in Mathematics at the University of California, San Diego, writing in algebraic geometry. After a five year tenure at San Joaquin Delta College in California, Robert moved to Boston to form an educational web-based software development company. 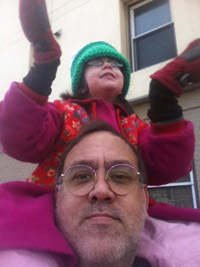 Robert is the Managing Partner of MathMonkeys, LLC, producers of LiveMath™ and MathEQ™ Software. Robert is the Lead Programmer for these products, concentrating on the Macintosh side, and managing the Windows and Linux programming team. 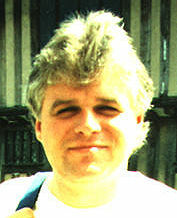 Robert co-founded the Distance Calculus program in 1997, originally hosted at Suffolk University in Boston, Massachusetts. Chris completed his M.A. at the University of Nebraska, Lincoln, and has been teaching at San Joaquin Delta College since 1989. Chris is an expert at Mathematica, teaching many courses on the usage of Mathematica in science and engineering, as well as pioneering Mathematica-based curriculum for Differential Equations and Linear Algebra. Diane completed her B.A. in Mathematics from the University of the Pacific in 1994, studying computer graphics and mathematics education. She is a co-founder of MathMonkeys, LLC, and applies her talents to on-line mathematics education and development of educational websites. Diane has been involved with the Distance Calculus program since 1998, and is the Course Coordinator for the Distance Calculus program. Diane began as Dr. Curtis's teaching assistant way back in 1991. Diane homeschooled her two sons through their entire grammar and high school years. Alyssa completed her B.A. in Mathematics from Northeastern University in Boston, Massachusetts, in 2003. 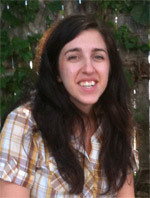 Alyssa lives in New York City, and has been a member of the Distance Calculus & LiveMath team for the past 15 years. Alyssa is also a graphic designer, whose creations include the current Distance Calculus website design and logo, the LiveMath palette icon set, and the LiveMath software logos and websites.